Info: Created on 7th March 2012 . Last edited on 24th March 2012. 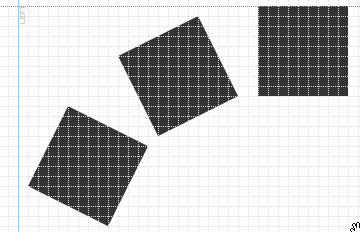 I like the mouvement of the squares. Have you see the works of Frodo7 using the rotation of the square to produce curves and suggest movement? You can see some of it here: http://fontstruct.com/fontstructions/show/482622 ... but all his job is excellent, I recommend it to you. My 10 2U. Congratulations! FontStruct Staff have deemed your FontStruction worthy of special mention. 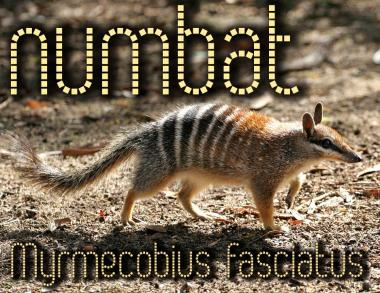 “Numbat” is now a Top Pick. @regular_one, Yautja, elmoyenique, p2pnut: thanks again for your positive feedback! @elmoyenique: Thanks, I had a good look at Frodo7's font, a great piece of work. Like him, I had to work at quite a large scale to make the level and tilted squares look of equal size as much as possible (each level square is 9 bricks wide and high). Just as a tip I think that you could improove your "w"
What's the technique for that square-rotate thing? ?